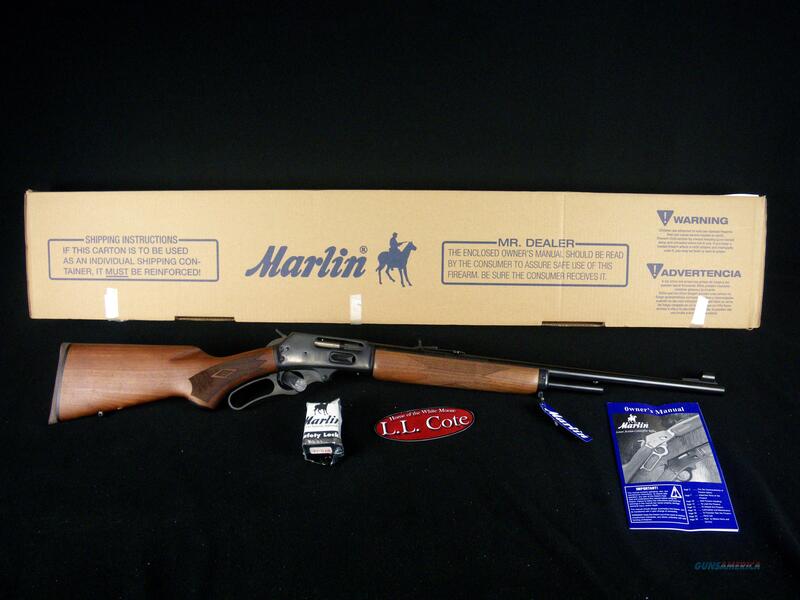 Description: You are bidding on a Marlin 1895 in 45-70 with a 22" barrel. The tried-and-true configuration of our famous 45-70 Gov’t rifle. It features a 22” barrel with deep-cut Ballard-type rifling, an American black walnut pistol-grip stock and fore-end with cut checkering and swivel studs. Displayed images are stock photos. Any questions please feel free to ask (our phone number is in the additional information tab above). Trades Accepted: Call us at ext. 111 for arrangements.